Your gutters are in dire need of professional cleaning? If that is the case, you have come to the right place as we specialise in expert gutter cleaning and cover the whole of Blackheath as well as the surrounding boroughs. Our vast experience in this business renders us capable of cleaning even the most neglected gutters from leaves, moss, twigs, and other debris. This job is nothing but a walk in the park for our professionals as they are competent and fully-equipped with modern wet/dry vacuum machines. We serve as a proof you can get high quality at reasonable prices! If you are sick and tired of climbing up and down ladders in futile attempts to flush your gutters with your garden hose, maybe it’s time for you to call our representatives! They will send an expert team to your property to undertake the cleaning of your gutters and downpipes. We keep a close track of the latest trends in the trade, so we have invested in wet/dry vacuum machines which render gutter cleaning convenient, quick, and most importantly, effective. Once they have evaluated the condition your gutters are in, the technicians will blast away all pine needles, foliage, twigs and moss that block the pipes and hinder their proper functioning. It is of utmost importance to repeat this procedure at least twice a year. 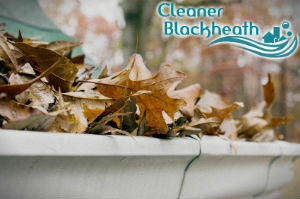 Otherwise, you risk having blockages in your gutters, which can lead to water damages, leaks and overflowing. The good news is we reward loyal customers with discounted prices so they can afford to use the service more regularly. Customers will also benefit from our flexible working hours as we are available seven days a week and can help out even on a short notice. You best not delay cleaning your gutters! 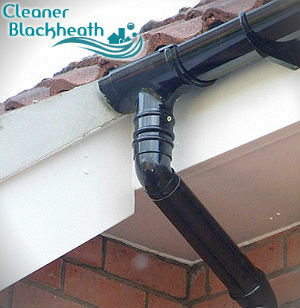 Why put it off when booking the gutter cleaning service we carry out across SE3 is so easy?